Enjoy the best inspirational, motivational, positive, funny and famous quotes by angel Kyodo Williams. Use words and picture quotations to push forward and inspire you keep going in life! 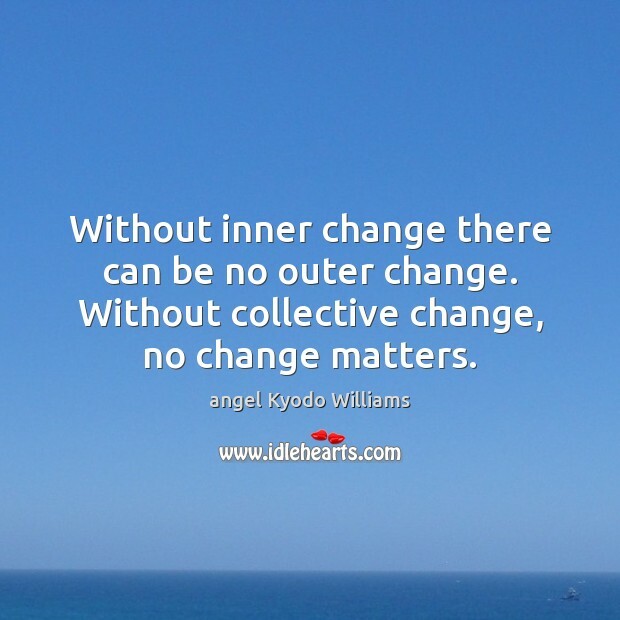 Without inner change there can be no outer change. Without collective change, no change matters. 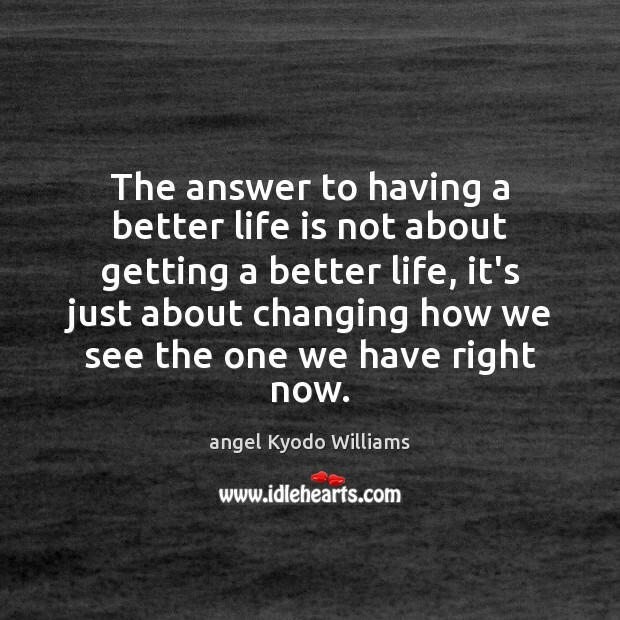 The answer to having a better life is not about getting a better life, it's just about changing how we see the one we have right now. You, just as you are, and your life here, right now, are all there is and all you need to know. You don't have to do anything special. Mostly, you have to be open to meeting face to face, and even dancing with, the truth that pertains to your life right now. You have to find a way to collect your fractured pieces, examine them, and the accept them as part of who you are. 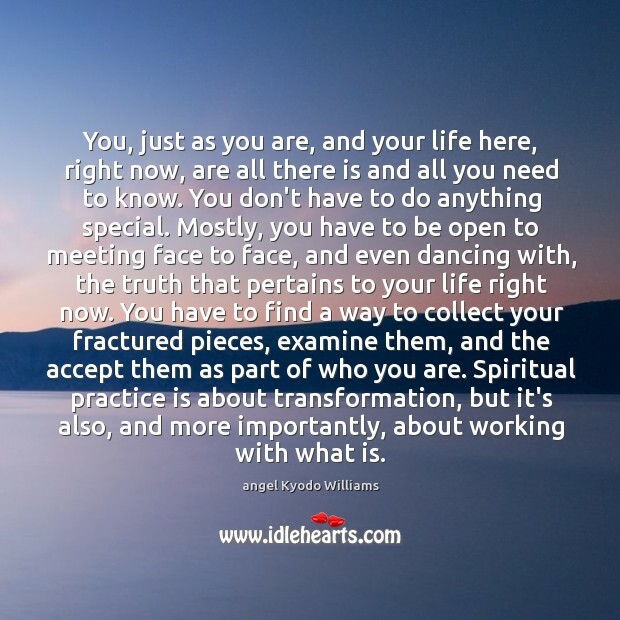 Spiritual practice is about transformation, but it's also, and more importantly, about working with what is.